Aaron and Allison found me via Nancy whom is a friend of the family and it always makes me smile when I get referrals from past clients. YAY! 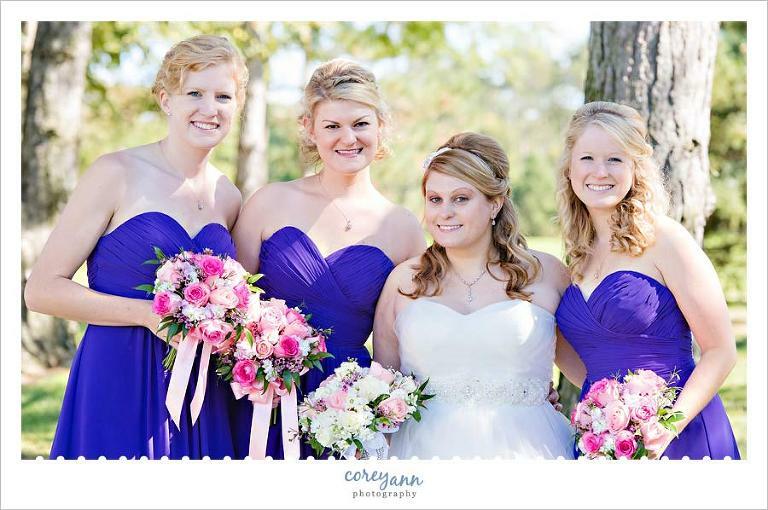 Aaron and Allison’s wedding day couldn’t have been any more perfect. I can’t recall a single thing that went wrong – everything just went SO right. From the weather (a bit cool but sunny and perfect!) to the decor to the cake – everything was so amazingly perfect! You could tell that a lot of love and thought went into every single detail from the day. They did a first look which I love. It always puts EVERYONE at ease and the nerves disappear SO fast. You get those first moments of seeing each other ALONE and get to take in everything in your own time, no rushing to start the ceremony! Plus, the photos are usually pretty awesome as well! The best part is that you are able to get all or at least a vast majority of the images done before the ceremony which means that you can just keep going with the party. This is especially helpful when the ceremony and reception are in the same location. 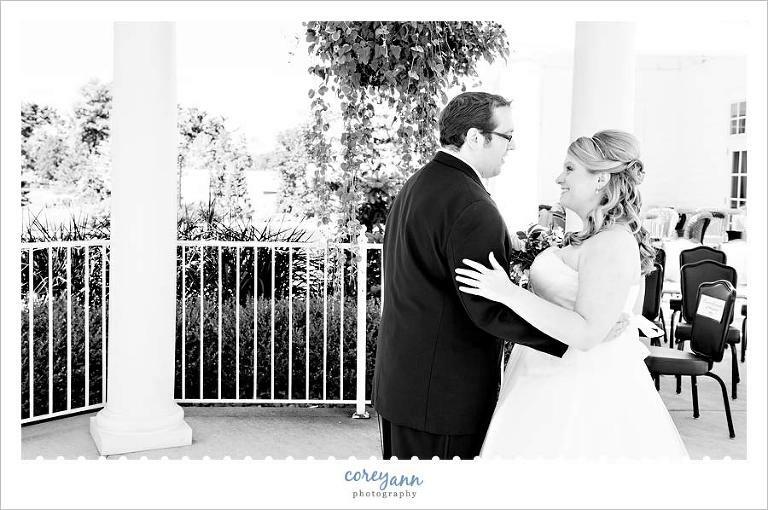 The gazebo at Westwood is a perfect place for a first look! After the first look we headed out onto the grounds of the country club for some pictures with the bridal party. 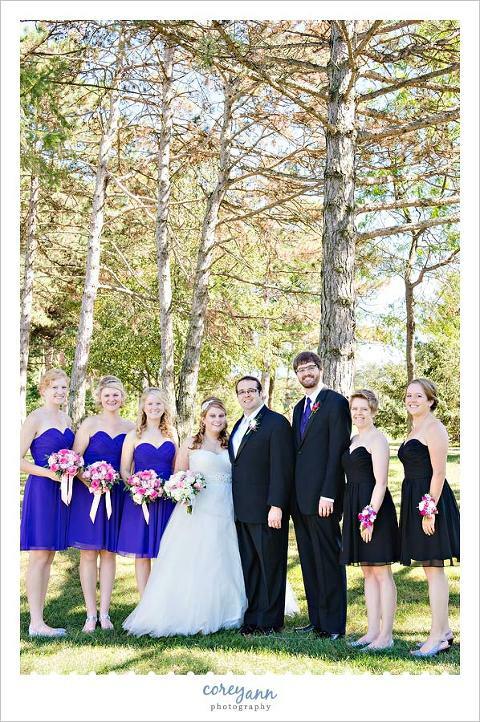 I LOVE that Aaron had his sister as his “Groom’s Ladies” in black dresses that matched the bridesmaid dresses! I love the color combination of the pink and purple. The entrance to the club is so lovely and picturesque isn’t it? We headed out onto the course with just Aaron and Allison and I LOVE the pictures we captured out there. This is one of my favorites from the day. This one however? THIS IS MY FAVORITE! After a bit of a breather after all the portraits were over it was time for the ceremony. I am so glad the weather was perfection because the light was amazing beneath the gazebo during the service. 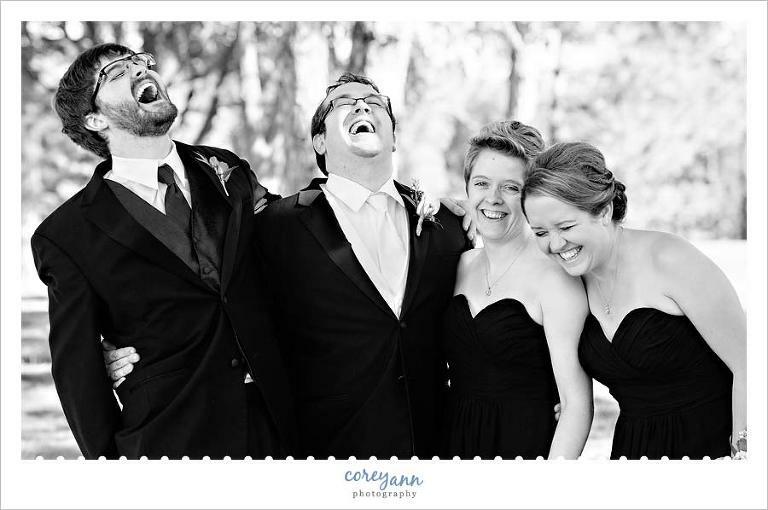 This seems to have been the year for personalized vows and I LOVE this so much! Here is Allison reading hers to Aaron, so sweet! Allison’s sister organized a bubble “exit” even though they weren’t leaving the site, so fun! Another lovely cake from Wild Flour with an ADORABLE cake topper that included their dog as well! There were a lot of toasts but the one that made me smile and almost cry was the one from Aaron’s sister. Allison’s sister had a SONG she sung (with her boyfriend) dedicated to Aaron and Allison. It was hilarious and no one could stop laughing afterward. I keep hoping to see it online somewhere but I’ve yet to find it! Their first dance to “A Thousand Years” by Christina Perri… ironically the same as Nancy and Jack where I first heard the song and thought how PERFECT it was for weddings. Allison and her Dad danced to “Beauty and the Beast” from the Disney movie and I thought that it was hilarious and so cute! Another great song, “In My Life” by The Beatles was the Mother/Son dance song. I loved when Aaron’s Mom checked out his ring during the dance. A ring shot with Hershey Kisses. I had such a great day with all of you!!! Thank you so much for hiring me!